While explorers have not yet discovered the fountain of youth, innovations in technology have brought a vast array of cosmetic treatments to help maintain a more youthful-looking face and body. Some cosmetic procedures are subtle, have little risks and downtime but they require a series of treatments for the most optimal outcome. Other treatments range in aggressiveness and have different potential risks but they may require only one treatment to gain sufficient results. Many patients state that the pros outweigh the cons while others say it just isn’t worth it. Let’s find out how women all over the world are torturing their face in the name of beauty. Microneedling may sound like tattooing but it is actually known as a collagen induction therapy. 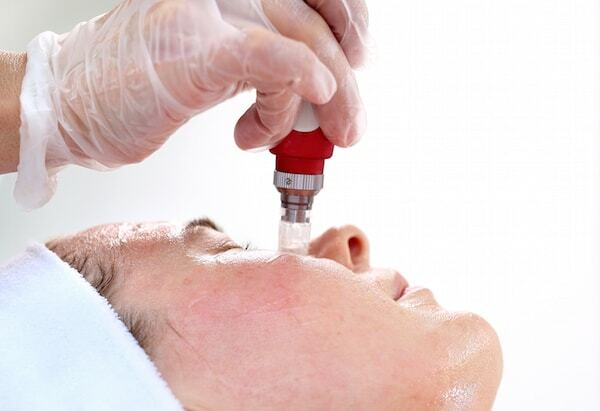 Microneedling uses a device with 11 to 30 short needles to repeatedly puncture the face in order to create tiny wounds. The minor trauma to the face causes the body to send collagen to repair the damaged skin. This will cause fine lines, wrinkles and acne scarring to fade or completely disappear while also tightening the skin. Microneedling is considered safe and has no downtime but patients should avoid sun exposure, exercise, lotion and makeup for the first few days. It is recommended that patients undergo at least 3 sessions to gain adequate results. While a vampire facial does involve blood, a bite to the neck is not part of the procedure. A vampire facial is also known as platelet-rich plasma therapy. This type of treatment is performed along with microneedling but the doctor starts by removing one to five vials of blood from the arm. The blood is placed in a centrifuge and rapidly spun to separate the red blood cells, white blood cells and plasma. The platelet-rich plasma is spread on the face before or after microneedling to assist with growth factors and enhance the results. Vampire facials can also be used to stimulate hair growth by increasing blood to the area. A chemical peel is a cosmetic treatment which is performed exactly as it sounds. A chemical solution is applied to the face which removes the outer layers of skin and causes the skin to eventually peel and reveal new, fresher skin. Chemical peels can be customized for a light or aggressive treatment. They are classified as light, medium-depth or a deep peel depending on the type of chemical used and how long it is left on the skin to penetrate the desired depth. People with superficial wrinkles and skin issues can benefit from a lighter or superficial peel. There is less downtime and potential risks with a light peel but patients with mild to moderate signs of aging will gain better results with a more aggressive peel. Laser resurfacing is similar to a chemical peel but this type of skin rejuvenation uses the heat from a laser to vaporize the outer, damaged layers of skin. There are a number of different lasers which can be used to reach certain depths and/or treat various skin conditions. Many lasers are fractionated which means the laser will move in a diffused pattern to penetrate certain areas and leave the surrounding skin unharmed. This allows for a quicker recovery and less risks. Recovery can be similar to slight sunburn or a bad burn depending on the patient’s goals and desired outcome. Nevertheless, the skin will peel after a few days to reveal smoother, better looking skin. Microblading is a different type of beauty treatment used to fill-in or tattoo thin eyebrow hair. Microblading uses a machine that resembles a tiny scalpel but it is really made of small needles. The tattoo specialist creates the look of eyebrow hair which can last between one and three years. However, it is not uncommon to get a touch-up treatment during the second year. This beauty trick can lessen the amount of time it takes to apply makeup each morning. Plus, it can be partially or fully reversed. Permanent makeup is similar to microblading since these tattoos take the place of lip liner or eyeliner. However, permanent makeup is applied deeper than microblading and lasts longer. Permanent makeup can last several years but will fade like regular tattoos. Many women like the fact that they can leave home quicker in the morning since their makeup is always on their face. 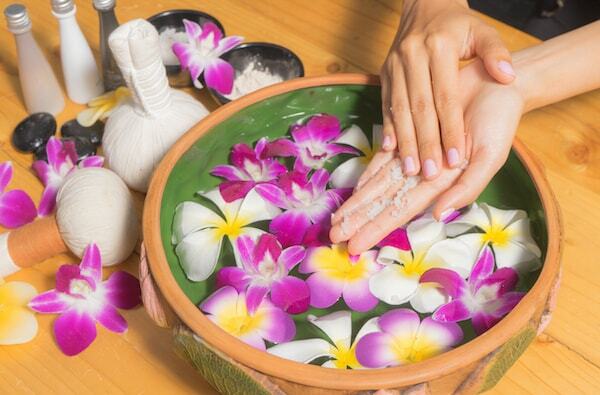 Where do Celebrities Spa in Beverly Hills?